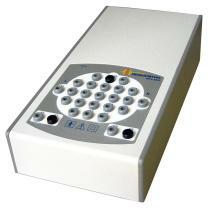 EEG Equipment - New EEG Equipment from Midwest Neuro Medical! Devices from Neurovirtual & others, Available Now from EMG Equipment.Com! The ultimate in flexibility and value in a next-generation EEG device! Comes in either stationary/clinical or portable configurations. Supports both stand-alone and multi-user/networking EEG applications. Supports EEG Recording and Review. Filters, montages, sensitivity and paper speed are all adjustable during both recording and reviewing. Frequency cutting filters, sensitivity and displayed colors for each EEG channel can be configured individually. Creates unlimited montages easily. Can edit-out uneeded portions of patient EEG data. Generates fast reports with patient information, report summary, EEG quantitative data, predominence of cerebral rhythms by channel, and selected trace screens. Report template is fully customizable for specific exams or patient needs. EEG Reports can be output to Microsoft Office (Word, PowerPoint, Excel), exported to a variety of file formats (including doc, pdf, rtf and txt), and sent by E-MAIL. The EEG Software includes Brain Mapping capability, using Fast Fourier Transform (FFT) analysis. Frequency maps, histograms and spectrum analysis can all be easily performed. For more information, Discounts and availability don't hesitate to call us! 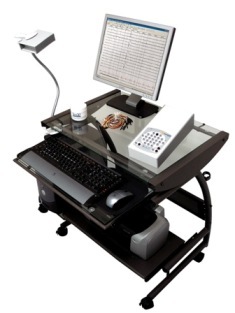 Also check out our Used EEG Equipment, EMG Equipment & Used EMG Equipment pages!